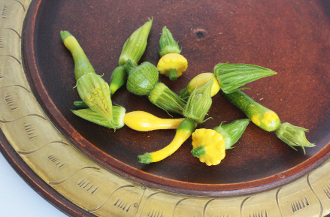 Cute, assorted tiny squash with yellow & green colors. Great squash flavor. Can be used fresh to garnish meats and fish or blanched to create a fancy side. Perfect for Fall dishes!